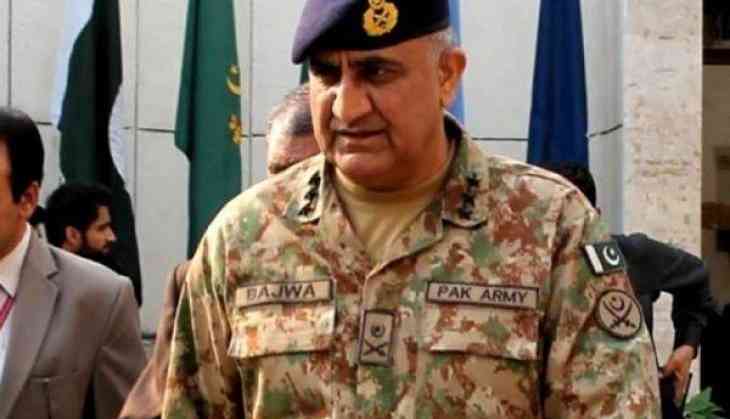 After the new government of Imran Khan's leadership has formed in Pakistan, on the expectations of better relations between India and Pakistan, Pakistan Army chief Kamyar Javed Bajwa, has dared to provoke India by saying that they will avenge the blood of its soldiers being shed on the border’. The army chief Bajwa again reiterated the Kashmiri rage. He said that in the fight for freedom we are with Kashmir. We salute the sacrifice of the brothers and sisters of Kashmir. We will avenge blood on the outskirts'. He said that the country has lost 76,000 soldiers so far in defence of Pakistan. Their sacrifice will not be forgotten. In the program organized in Islamabad, Pakistan Prime Minister Imran Khan, President Mamnoon Hussain was also present.